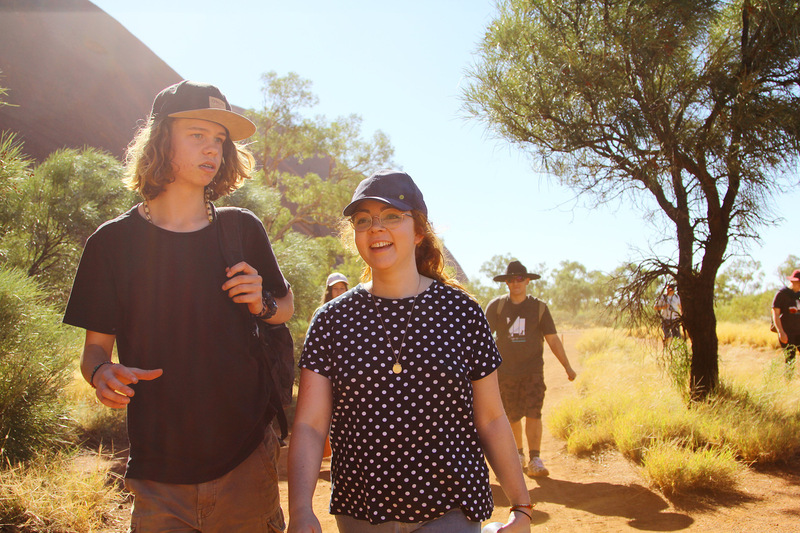 The morning saw the Pilgrims head out to Kata Tjuta to walk the Valley of the Winds. A two and a half hour round trip in the warm sun with the spectacular view and cool breeze the prize for their effort. Described by some of our young people as breathtaking (Paige), beautiful or Wiru (Alex) and ‘being on the top of the world’ (Isaiah). Free time after lunch meant a trip to the pool, coffee and milkshakes, washing and catching up on much needed sleep! The tightness of our group meant a super fun afternoon with new friends. After another spectacular dinner from our fabulous cook Josie we headed off to watch the sunset. The changing colours of Uluru are spectacular. 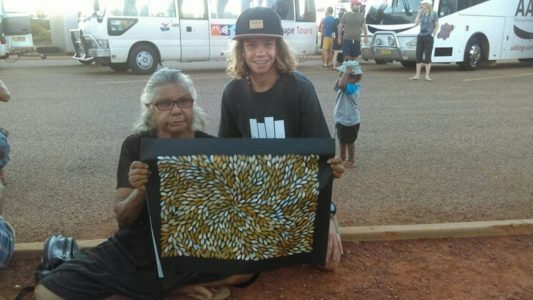 It was a special time for some of our pilgrims purchasing beautiful art from the local Aboriginal ladies. A lasting memory. Isaiah said “It has been the best day so far, you don’t know how happy I am right now”. And then if our day wasn’t already special enough it ended with our last group session with the Pilgrims from the other buses. This was a time to think deeply about who we are, who we want to be and who we are created to be. Focusing on the Creator Spirit, our Creator God. What an amazingly moving time for our Pilgrims. Staying right to the end of the night. Soaking it all in. The journey is beginning. Lachie said of the night – “I think I have to stay for the other two sessions because I got a bit teary eyed”. And Tara – “Having safe spaces started when I was young. Church and youth group leading to the opportunity of the Pilgrimage. The group was amazing. Incredible, standing by each other. We were the last group to leave. 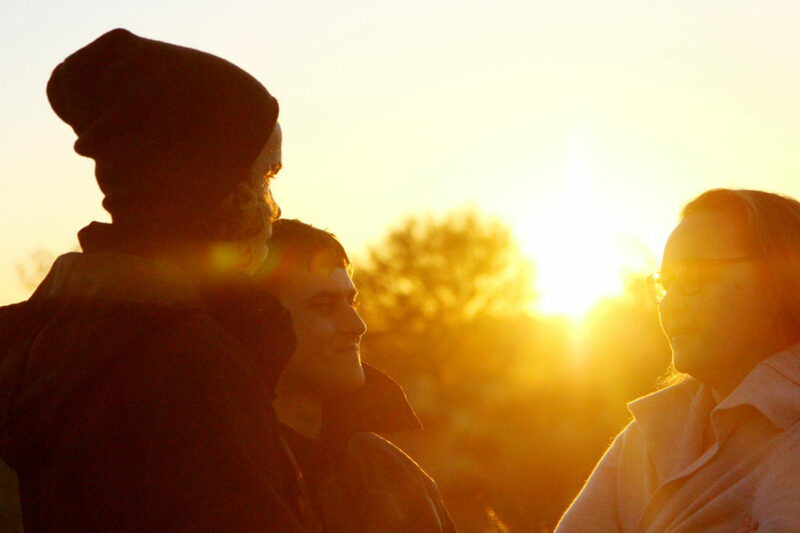 We comforted each other providing a safe place – a sanctuary for our vulnerability”. Before any of this happened something so special was done and Owen was brave to share these words with us. “I woke up too early. Biz organised the mini bus. Jess and I sat while Biz sorted the handbrake! We went a lookout in the dunes not far from the campground. We sat and watched the sunrise. Biz explored and found a track. We wandered down together and then alone I walked by myself to scatter Dad’s ashes. It’s sad he has gone and no longer with me me on the Pilgrimage, but a relief to get it off my chest”.